From its opening expectant hush via its central Adagio movement (composed in memory of Bruckner’s mother) to its Austrian folk dance-influenced final movement, Bruckner’s Symphony No.3 displays both the key influence of Wagner on the composer, and his structural flair, which earned his symphonies the description ‘cathedrals of sound’. 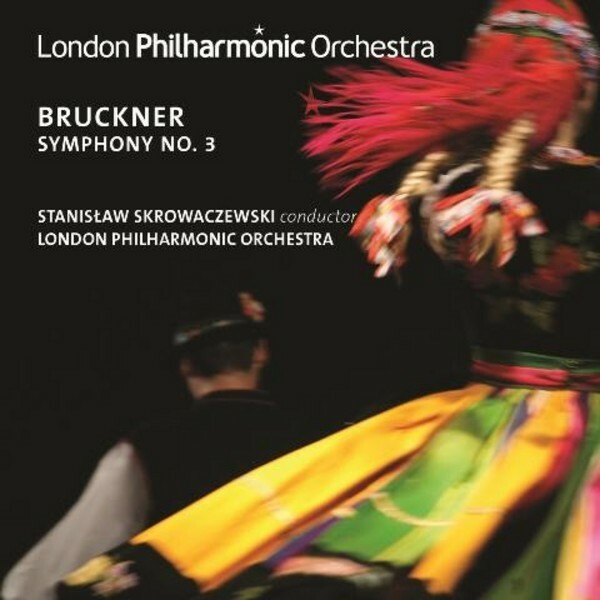 Stanisław Skrowaczewski, currently the world’s oldest major working conductor, is renowned for his affinity with Bruckner, and the London Philharmonic Orchestra has performed Bruckner’s symphonies under his baton many times. Skrowaczewski’s decorations include the Knight’s Cross of Polonia Restituta, one of Poland’s highest decorations, six honorary Doctorates, and the Gold Medal from the Mahler-Bruckner Society - each indicating the massive contribution he has made to music-making throughout his career. This recording was taken from a live concert performance at Royal Festival Hall, London, in March 2014, which was very well received critically. Skrowaczewski uses his own, unpublished, edition of the Symphony in this recording, offering the listener a unique experience, and an opportunity to get inside the mind of Bruckner’s greatest interpreter.